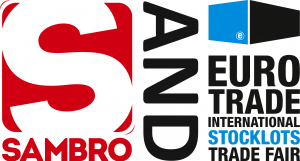 The first edition of SAMBRO & Eurotrade Fair took place on the 2nd and 3rd of May 2018 at the Sambro headquaters in Bury (Manchester). An international event with more than 40 exhibitors from the United Kingdom, the Netherlands, Belgium, Germany and Spain. Visitors from over 40 different countries came to visit this first edition and found the best clearance deals. We are very satisfied with this first edition, where direct orders were placed and many new contacts were made. On to the next edition! Below you will find an overview of the exhibitors and a photo impression of this event.